Important: This feature is available with our Premium plans. 2. Go to the LOGO tab and click the UPLOAD button. Choose the logo of your publication and upload it! 3. 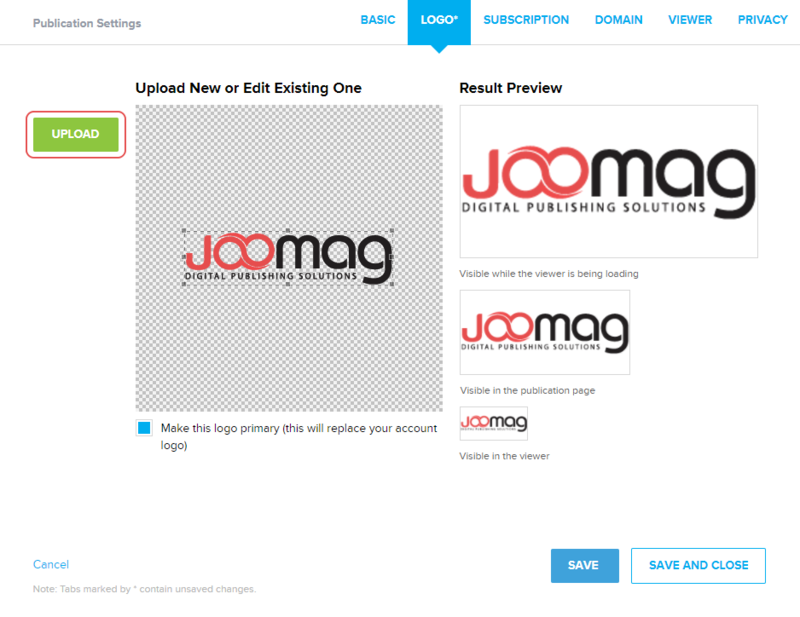 After the upload is complete, you'll see the previews of your logo in different dimensions. You may resize, move and crop it to fit your needs. Note: If you have Pro account, make sure to mark the Make this logo primary checkbox, to change the primary logo of your account. Otherwise it will not show up in the magazine viewer. 4. After you finish your work, click the SAVE AND CLOSE button.